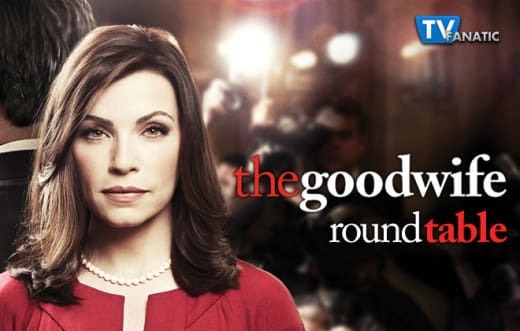 Everything caught up with Alicia as she lost a case, got sued for malpractice and had a complete emotional breakdown on The Good Wife Season 7 Episode 13. Was suing Judge Schabowsky a good idea? Elizabeth: I wouldn't say that it was a bad idea, but it was poorly executed. It was reactionary on Alicia's part, and not utilizing Jason (or another investigator for that matter) was just plain stupid of her. If the goal was to get her client of jail, then suing Schabowsky should have been her final move instead of her first. Carissa: There was probably a better way to go about what Alicia wanted to do. In doing it, she essentially did exactly what he did to her by way of the $150k bail. Christine: Yeah, it seemed to be more about getting back at Schabowsky than getting her client out of jail. I wish she would have focused more on that but then again, Alicia hasn’t been thinking all that clearly of late. What did you think about Lucca’s reaction to Alicia’s breakdown? Elizabeth: That was a great scene. I mean, Lucca probably should have been worried about more about pills than guns and stayed the night with Alicia, but overall, it was beautiful. The only thing I objected to in that whole sequence was Alicia's comment that she's not made to be unhappy, that she loves to laugh -- has she not been watching her life these past few years? And it's not as if we have been given the impression she was exactly happy *before* the scandal broke either. Laughing at YouTube videos does not mean you're a "happy" person, it just means you're not completely dead inside. Carissa: I was surprised at how unaffected I was by the scene. It's too little too late for me. It rang false, almost as if she was putting on a show for a woman she barely knew because she was afraid if she didn't Lucca would leave and she'd be left with nothing. I wouldn't be surprised one bit if Alicia did commit suicide and didn't leave any real clues about doing it. And just like Lucca, she doesn't have any real friends left who will catch the signs because she has closed everyone out. Sorry. My answer wasn't about Lucca. She tried? Christine: I thought Lucca reacted really well but failed on two points. First, like Elizabeth said above, there’s probably pills in the house that could be used to commit suicide and second, how about getting Alicia some help! The woman is obviously depressed and talking about ending it all. I was shocked that Lucca didn’t get her to a professional who could help Alicia work through this. What do you think of the music on the show? Do you like it, not even notice it, or is it a distraction? Elizabeth: I love it. Unlike the music in Grey's for example, whose season of 80's covers was largely debated and was kind of random, it's purposeful. The music is more dynamic and it's not about nostalgic lyrics, or general ambiance. I've loved the way the music is a reflection of where Alicia is, often by having her isolated by her earbuds. By repeating a single song throughout an episode, it carries more weight and goes beyond just conveying "this character is happy" or "you should feel sad now." Carissa: I guess I don't notice it because I can't think of a single song that is associated with TGW. Christine: It appears we’re all different because I find the music distracting more often than not, bordering on annoying. Jason’s back and Alicia kissed him! Your thoughts? Elizabeth: I'm probably the least excited person about this. While I agree they have some chemistry, it seemed a little soon after her breakdown about Will. I felt like she's still mourning him. But maybe Jason is just the fun roll in the hay she needs to finally move on. Carissa: I think she was trying to recreate the Will scenario to get his memory out of her head more than kissing Jason. Jason, however, is so adorably awkward. I'll take him for reals. Christine: I really like Jason but I feel as though Alicia is using him right now. He deserves better than to be a band-aid she uses to try and feel better. Alicia needs to work on herself before starting a relationship with anyone. Should Alicia take Cary up on his offer to come back to the firm? Elizabeth: Yes. She needs the coverage for the malpractice suit, and she needs to get out of her house. It'll also make the show that much more interesting for us. I haven't enjoyed the split at all. The stories are more disconnected, and no one is getting the screen time that they really deserve. Carissa: God yes. The show hasn't really worked since the split, other than the dramatics of the split itself because of what it did to everyone and their relationships. Once reality settled in? It sucked. Christine: Oh please, yes! I want everyone working together again in the same space. Adding Jason, Lucca, and Monika in with Alicia, Cary, and Diane will be fun. The show has really been missing the dynamic of having the whole cast working together. What was your favorite scene from this episode? Elizabeth: Alicia's breakdown was fabulous. I really liked that the writers let her admit that she might not like her children (even if I was a little unclear as to why) and that Lucca didn't judge her for that at all. As much as I loved the plate breaking scene after Eli's confession, as of now, that's where I'd put my money for the best actress Emmy clip. Carissa: Jason excitedly talking about his hat and the oven mitts while Alicia just stood dead in front of him. It was interesting to watch. Christine: Alicia’s breakdown. I was a little shocked when she said she didn’t like her kids. I get it with Zach but Grace? My only fear is that the show will gloss over Alicia’s depression now that she’s confessed her feelings to Lucca. Depression doesn’t just disappear overnight and I’d like to see Alicia work through this in some sort of realistic way. 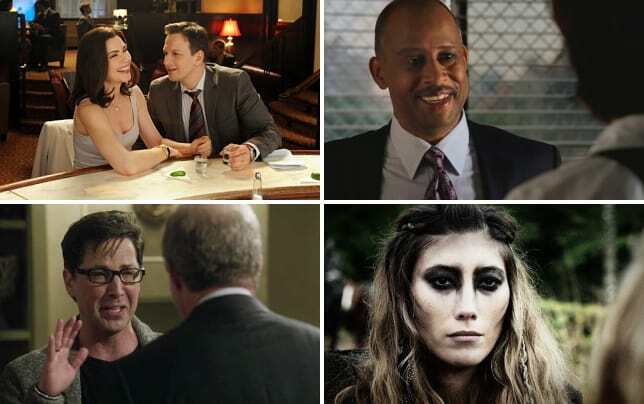 13 Characters We Want to Bring Back From the Dead! Seriously, are you going to hate the whole world right now? Permalink: Seriously, are you going to hate the whole world right now? Judge: Are you out of your tiny, little mind Mrs. Florrick? Alicia: You don't need to say little when you say tiny, one or the other will do. Permalink: You don't need to say little when you say tiny, one or the other will do.